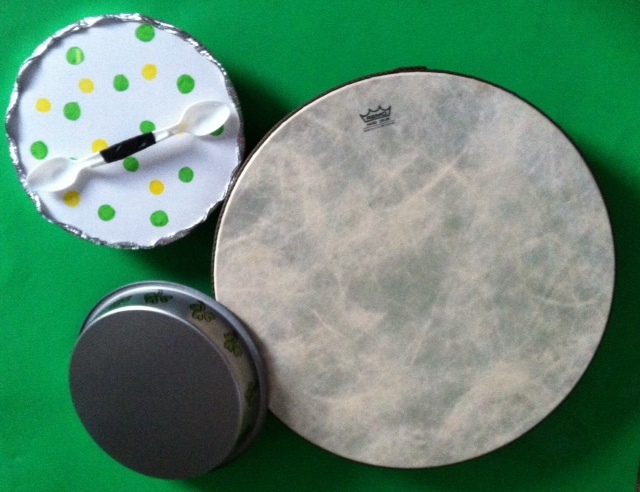 Make Your Own Irish Drum for St. Patty’s Day with Daria! 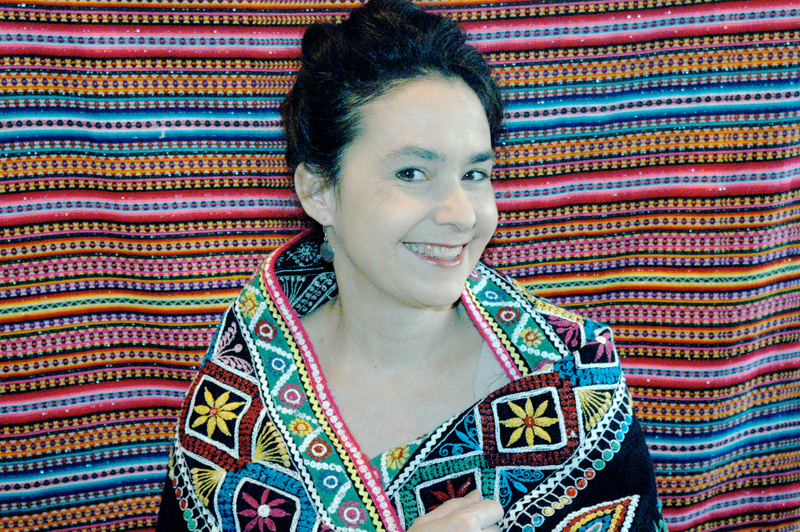 Daria Marmaluk-Hajioannou, aka DARIA, a World Music children’s performer and American folk singer, devoted to educating children about world music. Daria has traveled the world collecting and immersing herself in musical styles while also introducing these cultural artifacts to children around the world. I love World Music and always feel as though I learn something new about a country’s culture and its people through the style of their music and the musical instruments used so following Daria has been a wonderful learning experience for both me and Em. Daria is passionate about the power of creating and sharing music on a global level. To encourage this, she regularly features multi-cultural activities as a resource for parents, teachers, home schoolers and kids of all abilities. Whether she is making crafts such as button castanets, transforming a cardboard box into a cajon (a drum shaped like a box), or mimicking the sounds of a washboard using manila file folders and a spoon, Daria encourages kids and parents to really experience music in a holistic way. Today I am excited to present a guest post by Daria for St. Patrick’s Day! Read on to learn how you can make a hand drum, called a bodhrán, out of of simple everyday objects. To learn more about Daria, check out her official site which features songs that are popular or represent celebrations in different countries around the world. Looking for a last minute craft to celebrate St. Patrick’s Day with the kids? This easy hand-held drum is fun to create from “take-out” containers and is easy to play for kids of all ages. Modeled after the bodhrán from the Celtic tradition of Ireland, younger kids can tap the drum and older ones can try the more traditional method of playing the drum with a “tipper” or cipín (in Celtic). 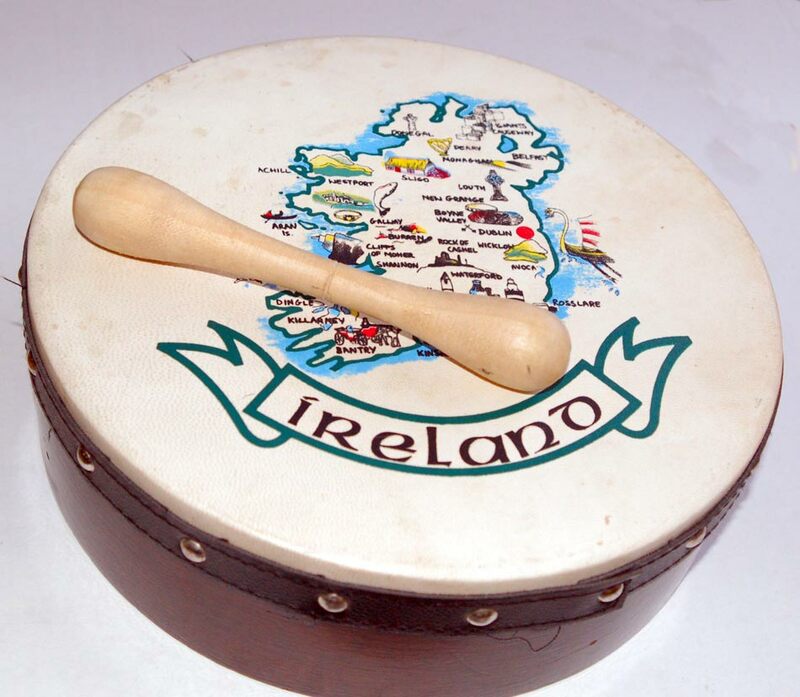 The bodhrán (pronounced “bow-ron”) is a hand drum that probably evolved from farm tools. Music historians believe it was created in rural areas where farmers took big round, grain sieves and turned them sideways to be used like drums or tambourines. To play this drum, you use a special beater that is held in the middle of the stick and the drum is tapped with both ends to create beautiful rhythms. Although it sounds a bit complicated, it isn’t hard to play after a little bit of practice. Your take-out container works perfectly as a drum already. But feel free to take the lid off and decorate it as you please or with a St. Patrick’s Day theme. Then put the lid back on and create the special stick to play your drum. To make the tipper, tape together two recycled plastic spoons. If you don’t have any spoons handy, you can use unsharpened pencils or chopsticks as well. Everyone loves to play a drum! You can start to play by simply tapping the drum with your tipper and making a beat. Then try holding the tipper in the middle and letting the spoons on each side tap back and forth. Tap one side first, then the other. Try is slowly, then pick up a bit of speed, while keeping a beat. Need a little inspiration? This video shows a masterful musician from Ireland playing slowly at first and then demonstrating all kinds of wonderful ways to play this wonderful British Isles drum. Happy St. Patty’s Day To One And All! World Music Childrens Performer, DARIA (Daria Marmaluk-Hajioannou) has spent the last two decades performing in the USA and around the world, creating music to inspire all the world’s children. Along with numerous national awards for her culturally diverse music, Daria’s website (www.dariamusic.com) was given a Parent’s Choice Award and offers a variety of great resources for teachers, parents and kids of all abilities. « Check this out: Cat Doorman – Calling All the Kids to the Yard!